AND DEPUTY COMMISSIONER OF POLICE. 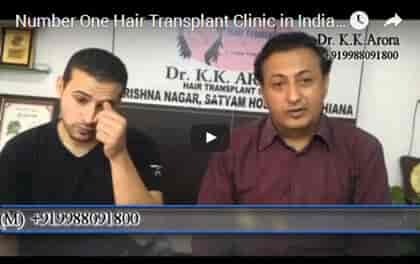 Looking For Hair Transplant in India? My Ultimate goal for life is to serve the mankind in all possible ways i can. Dr. K.K. 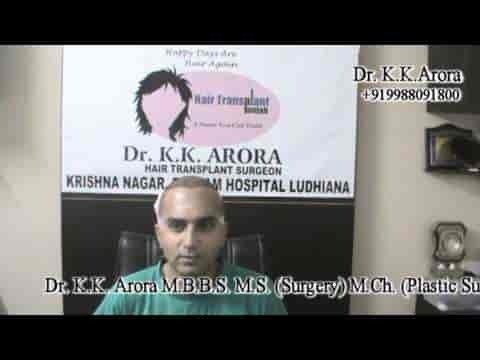 Arora is the famous name in the Hair Transplant Surgery. He uses FUE as main hair transplant technique. He got his degree from TVER State Medical Academy, from Russia and Stockholm, respectively. 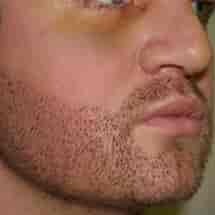 The FUE hair transplants are done at reasonable prices, the results can also be checked online. He has been working in Dayanand Medical College and Hospital at an esteemed position. 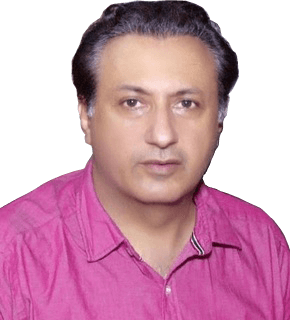 At present, he is the Senior Consultant at the Institute of Medical Sciences in Jalandhar, Punjab. He was the one who laid the foundation for Satyam Hospital, which is near Aarti Chowk, in Krishna Nagar, in Ludhiana. We have some exciting offers for people from Jammu and Kashmir along with international patients. Please Checkout our latest results of hair loss treatment through hair transplant and get to know about their baldness levels and how beautifully they get treated with aesthetics treatment. FUE (Follicular Unit Extraction) Surgery Cost in Our Centre can be tracked according to the number of grafts required, one is the donor area, next is the transaction rate that surgeons can provide. Our package starts with Rs. 75000 (inclusive of everything, but before that an examination is necessary. We follow manifested and trusted surgical guidelines because we believe it is the best thing to deliver excellence incorporated with progressive hair restoration methods. 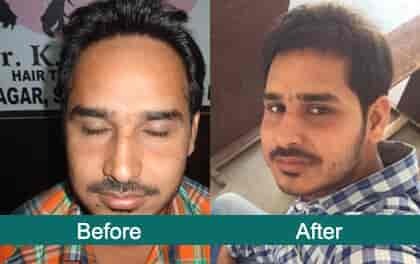 You can ask us for any kind of information about the hair transplant price, besides that, you can also drop us an email at satyamhairtransplantindia@gmail.com or call at numbers given on the website. We offer the best treatment at a price which suits everyone, with the best quality; our policy of cutting cost does not rely on lowering the quality of treatment. We ensure reasonable cost by cutting down other costs associated with the procedure. We use the technology that not only refines the results but also lower the cost of treatment. We calculate the cost per grafts, so given below are the different numbers of grafts. In case a patient chooses scalp hair restoration along with FUE, then the cost will be from 50 Rs as per the grafts, costs increase in the case of body grafts. Regardless of the various concepts about the hair transplantation techniques that a patient can imagine, FUT and FUE are almost similar procedures with a nominal difference of extraction of donor. FUE means follicular unit hair transplantation that is a widely accepted technique for hair restoration and this method has already replaced mini grafting method that was commonly used in 90s. Follicular unit extraction (FUE) and FUT (strip excision) are two different types of FUT in which grafts are taken from the donor area. The process of dealing with the follicular units and their transplantation into the required areas are identical. The FUE technique is significant for its nominal surgical way to extract the hair grafts still FUT is a more popular method for the hair transplantation. For FUT, a hair strip is removed surgically from the denser area of scalp and then stitched. The scars heal within one to two weeks after. 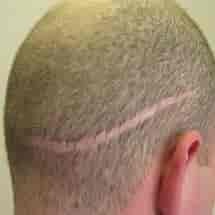 It is less costly than FUE and allows surgeons to receive the larger count of grafts for hair transplantation in the bald area. But for the complete recovery, donor area needs more time. For FUE, surgeons need to make nominal cuts that look like dots so not the larger scars as those occur in FUT. There are hundreds of dots made in the donor area of the scalp that is invisible. Due to this feature, FUE has become popular and is attracting many people who look for hair transplantation. Meanwhile with the advent of technology in the medical sector, the linear scars made in the donor region in the FUT procedure can also not be easily found. So you can choose any of FUT and FUE methods for the expert hair transplantation to get naturally grown hairs in the bald areas. Additionally, when you get specialized assistance, the procedures go more easily. 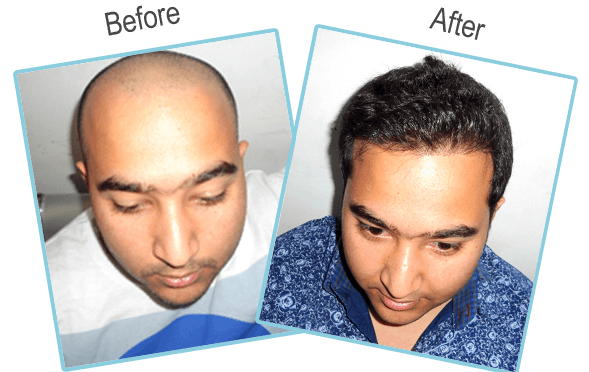 Hair Transplant at Satyam Center exists of highly qualified, experienced and competent surgeons. The team is lead by Dr.K.K. Arora (MBBS, M.S, M.C.H. (Plastic Surgery)) and Dr Monika Bharti (M.B.B.S., M.D. Diploma in Medical Cosmetology) with over 15 years of extensive cosmetic and surgical expertise. He has international training from TVER state medical academy in Russia and Stockholm, Sweden. 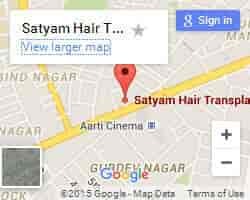 When you choose Satyam Hair Treatment Center, you are ensured of receiving expert care for your hair loss problems. As everyone has different shades of hair, texture, density, hair loss extent and area of hair loss, it is impossible that a single hair loss treatment can be used for all. Using a single graft size, different hair loss problems cannot be cured. We use three kinds of grafts to offer the dense and naturally looking hairs in at the competitive price. Our expert team of surgeons the hair transplantation follows an aim to provide the natural looking hairs. With the experience of above a decade, our surgical team can handle the hair transplantation cases successfully. The reason of successful hair transplantation results is the skills of our surgical staff, we have become popular for our dedication to providing the excellent quality outcomes with the transplanted hairs that are indistinguishable. Once the follicular unit grafts are transplanted, they grow like natural hairs. Our professional and latest methods allow painlessly and result in oriented surgery. The success of the hair transplanted results is based on the expertise of our surgical staff. We have employed trained staff to assist the surgeon in the procedure. Our team widely emphasises the implementation of technology in addition to medical procedures. At Satyam Hair Transplant Center India every patient is considered unique in corresponding to their hair problems. Our surgical team is well experienced and specialised in handling the various hair loss problems. Choose a personalised hair care program designed for you The special hair loss treatment programs are designed following the age, baldness size and gender of a patient. Our surgeons collect the sufficient information to choose the best fit treatment for you. Surgical methods are not chosen every time if the hair loss problem can be resolved by medication. So if your problem is minor and can be cured through medication, you will get it. We are not like those who blindly perform the surgeries, this is the reason that our patients trust us for receiving an efficient and highly effective hair loss treatment. If your baldness problem is severe and needs a surgery then we help you in choosing the beneficial surgical method by providing extensive information so that you can make the decision easily. Our team has handled hundreds of cases not only in India even outside the country such as in Dubai, London and others. We help in providing natural hair growth in your bald scalp so that you can regain your youth back. Why Hair Problem Is Arise? The problems that affect the hair growth and scalp are hair loss, infections and disorders. Hair loss is a common problem in males and females that starts with minor hair daily and then it is increased to a vast level that baldness occurs. 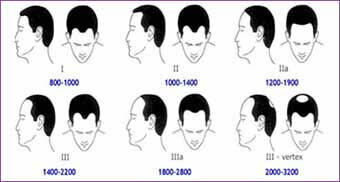 Male baldness pattern is a common cause of hair loss in males with a thin hairline and baldness on the scalp. Females may develop female pattern baldness in which the hair becomes thin on the entire scalp. Immediate and basic loss of a wide amount of hair may be associated with the stress of sickness or recent pregnancy. Baldness is resulted by wide hair loss in nominal, round patches while tight elastics or may cause hair loss at the hairline. Specific disorders, medicines or inefficient diet may also result in hair loss. Scalp infection includes bacterial infection of hair units, the infestation of head lice and fungal disease of scalp ringworm. Itching and wide flaking of the scalp are observed with both dandruff and psoriasis. Common causes of hair problems are head lice, dandruff, folliculitis, ringworm scalp, hair loss, female pattern baldness and mole. An average person has five million hairs spread across the body. It takes around a month for healthy hair to develop around an inch. Many hairs develop for about six years and then shed. New hairs redevelop in the place. Hairs secure eyes, ears and nose from the tiny pollutants in the air. The issues related to the scalp are hair loss, infection and dandruff. Hair loss is a condition that influences people at some sort of life. Hair loss from the damage to the hair shaft is unlike to the hair loss from reduced hair development. Rather females, hair loss is more severe in males. The deficiency of protein, anaemia, thyroid disease and minor vitamins cause hair loss so here we have the solution.